Liquid Blues Production is an independent production and distribution company based in Berlin. Liquid Blues concentrates on realizing visual content in feature films, documentaries and interactive art. An award-winning director and installation artist absorbed by his passion for creating imaginary worlds. Boris‘ work is authentic, expressive and deeply felt, always driven by a powerful visual language, rendered with a mastery of detail. It draws its narrative strength from a particular process of observation, be it in the field of human behavior, science or nature. The desire to construct these narratives developed at an early age from an interest in photography and film. Today Boris loves crossing the border between art and science, challenging the ways documentary and fictional stories are told. While earning his master’s degree (and later a PhD) in Art History, Philosophy, and Film History at Humboldt-University, he became a feature film location scout. 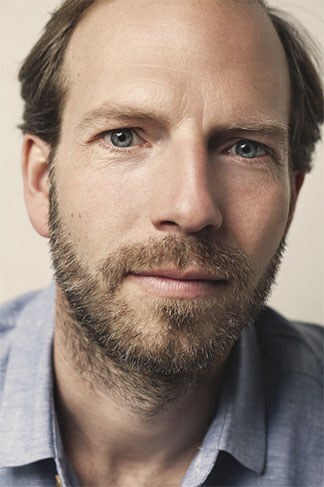 At Studio Babelsberg he met and worked with Jean -Jacques Annaud, lstván Szabó, Richard Donner, Tom Cruise, Wim Wenders or Volker Schlöndorff – „listening,“ as he says, “learning, and becoming ever more inspired.“ As a result, his own work expresses strong emotions, fashioned within simple and compelling atmospheric worlds. His films have been selected for over 60 international festivals including Aspen, Toronto, Munich, Biarritz, and New York. They have been acquired by countless broadcasters and won many awards. Among Boris’s most recently completed projects are This Is The War Room!, a short documentary on the late Sir Ken Adams (Stanley Kubrick’s legendary designer, and Boris’s own mentor); an original TV series concept entitled Éclair; and he is currently developing his first feature film, Songs of Silence, based on an original idea and his own script, which he will be shooting in Canada.